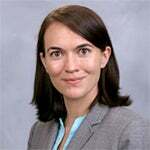 Rebecca Schaumberg is an Assistant Professor of Management and Organizations at NYU Stern. She comments on the personality traits expected of presidential candidates and the perceptions of gender in leadership positions. Fox 5 News, "What Kind of Personality You Need to Be President?"